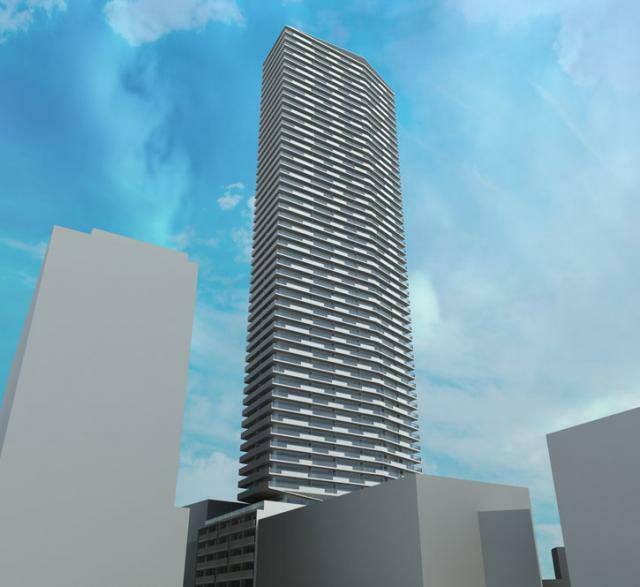 Tower Hill Development Corporation is offering new incentives for its remaining inventory of 2221 Yonge, for a limited time. This 56 storey tower will have 566 units, and 8 levels of underground parking with 306 parking spaces. Also, a total of 591 bicycle parking spaces will be provided. 2221 Yonge seeks to distinguish itself by high-lighting the terraces as a unique design feature. Wrap-around terraces will be utilized on the main tower. It will provide an abundant outdoor living space, as well as shading and privacy from adjacent buildings. Floor-to-ceiling windows will admit abundant light, and views into all suites. This tower will sit askew from the 6 storey podium to create interesting pockets of outdoor space around the amenities. The tower shape will be broad and expansive on the north and south sides for better views. It will be slender on the east and west sides for a slimmer presence on the street, and capped by a sculptural sloped metal roof that will be distinct in the Yonge/Eglinton skyline. At the podium, the terraces will have long balconies. This project will have a large sloped garden that will greet visitors entering from the west. Suites will range in size from 386 to 997 sq ft. Amenities will include a gym, games room, lounge, massage room, movie theatre, 24 hr concierge, party room, and a roof-top deck.